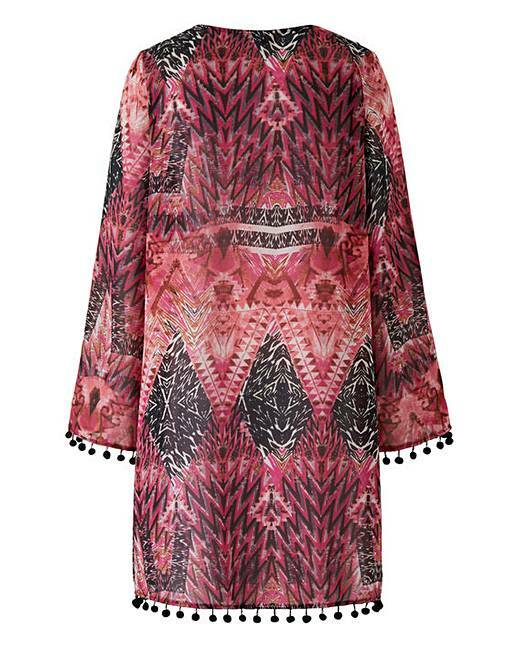 Together Modern Aztec Kaftan is rated 5.0 out of 5 by 1. Be bold this season in our Aztec Print range of swim and beachwear. 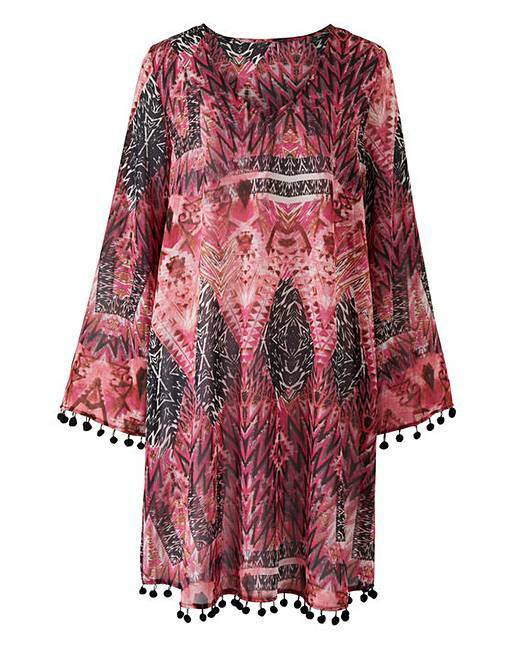 Designed in vibrant pink and purple printed tones with contrasting black, this kaftan offers a flattering V-neck, ¾ sleeve, loose body fit complete with pompom trims! Match up with one of our beautiful swimwear pieces for an enviable poolside look. Rated 5 out of 5 by Curvychick from Lovely Kaftan I love this Kaftan. Colours are very pretty and it feels very comfortable. Can’t wait to wear it when I go on my cruise in June.